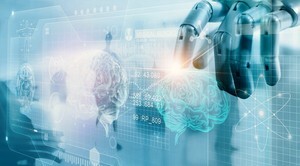 Although many advanced medical technologies such as robotic surgery are in their infancy, innovative technologies are in great demand among international patients. Pete Read, CEO of strategic research and advisory firm Global Growth Markets, said: "In price-agnostic source markets such as China, the Middle East and Russia, accessing technology not available at home is typically the number two reason for travelling overseas for treatment – after gaining access to the latest drugs." Unsurprisingly, the US is seen as having the most advanced medical technology available to international patients, followed by the UK, Germany and Japan. Singapore is seen as the medtech gold standard within Southeast Asia, for patients from Indonesia and Malaysia, he added. So, which technologies are patients travelling for? Establishing that is not as easy as it sounds said Josef Woodman of Patients Beyond Borders. It's clear that patients travel for cancer treatments. The latest advances are cell-based therapies that use the body's immune system to target cancer cells. Patients are travelling for stereotactic radiosurgery or so-called 'gamma knife' technology, used for highly selective brain radiation therapy and another popular innovation that patients are travelling for is proton beam therapy.